Local charities received a major boost on Thursday 16 March when 466 business volunteers from across Northern Ireland donated their time to lend a hand in a practical way for ‘Be a Saint Day’. 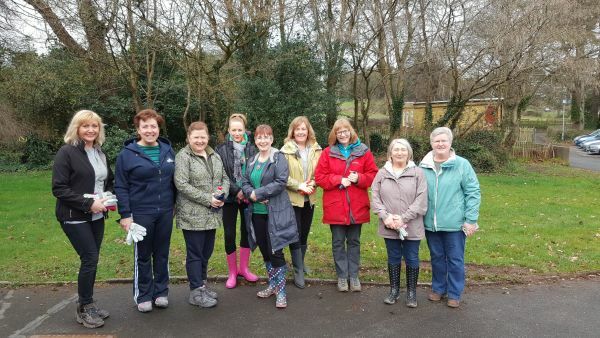 Organised by Business in the Community and Volunteer Now, and sponsored by SPAR, ‘Be a Saint Day’ is an annual day of volunteering, where employees from across the country roll up their sleeves and take part in practical volunteering. Activities included everything from helping to run charity shops for the day, to garden maintenance and painting. More than 30 employers released staff for a day to help 41 local charities across Northern Ireland in areas including Antrim, Ballymena, Bangor, Belfast, Carrickfergus, Carryduff, Downpatrick, Drumahoe, Enniskillen, Greyabbey, Holywood, Larne, Maghera, Newtownards, Newry, Omagh and Whitehead. 110 blood donations…and first to visit the Northern Ireland Blood Transfusion Service’s new College Street premises!